I think Jerry Lewis is more intelligent than that and realizes that his many characters and comedy challenges many of societies precepts, status quo and the “law” in the form of societies rules. Thus I reject the notion that it is unconscious in any way, shape or form. I believe it is an intentional act to challenge peoples thinking. This is without simply asking him, of course. I hear what you are saying. Yes, he certainly knows that he is challenging this or that norm. No problem. Interesting read. And I reblogged you with my comment on my blog. 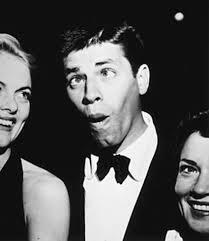 I would hate to agree that Jerry Lewis is a “usefull idiot” in any sense. A Professor’s thoughts on Jerrry Lewis and comedy.